These are SO good and super easy to make. They’re full of almond goodness, bursting with vitamin E, calcium and magnesium and a little protein too. 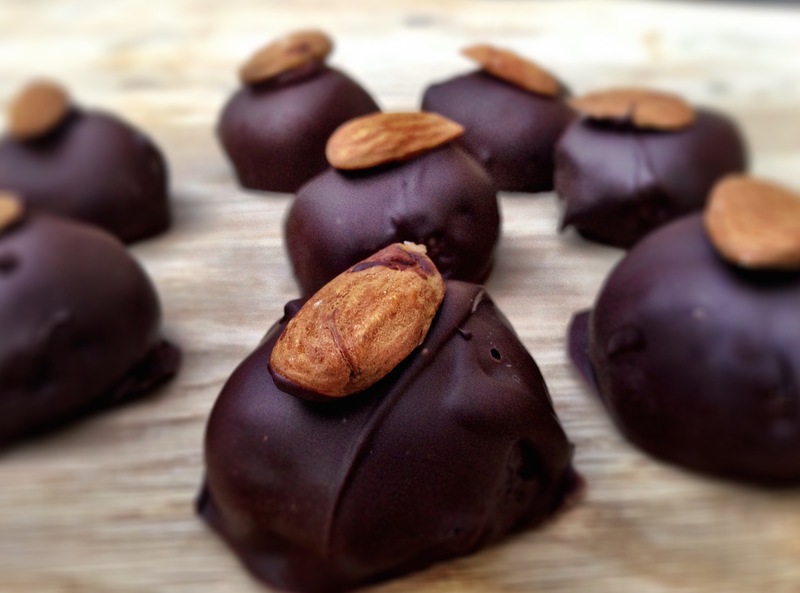 They make a gorgeous after dinner treat or chocolatey surprise for someone special. 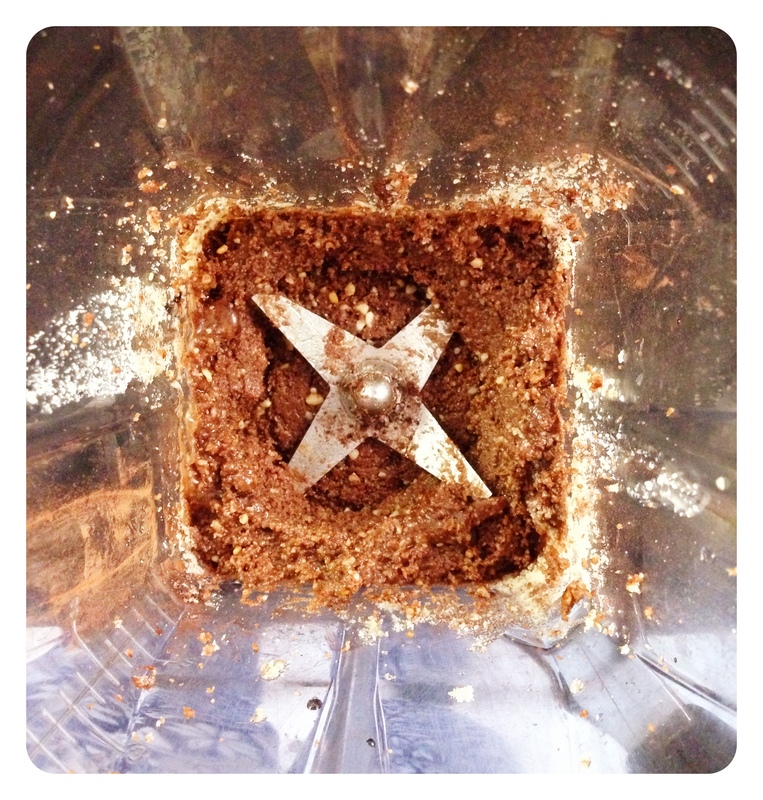 First, combine the almond butter and ground almonds using a food processor. 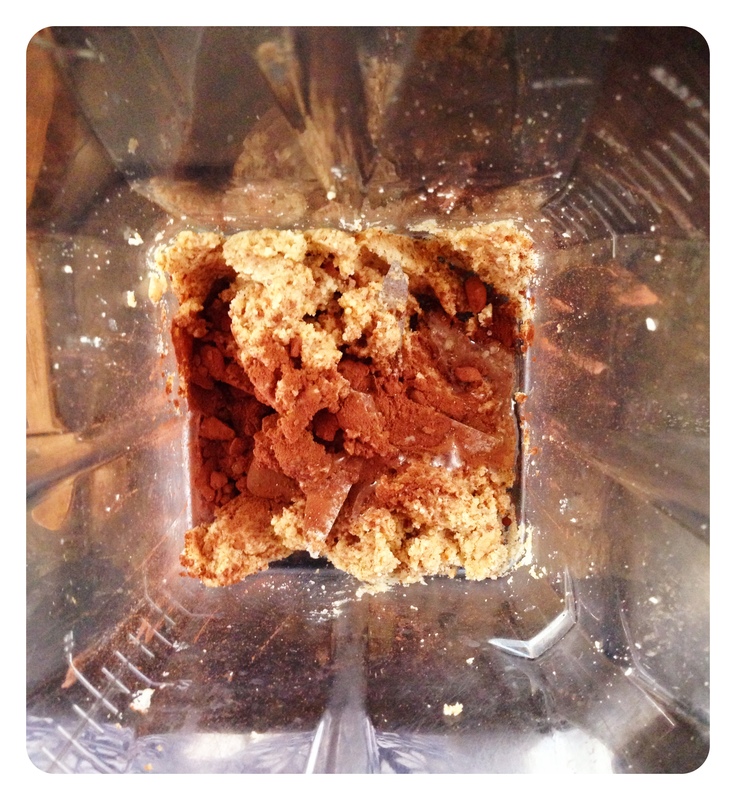 Then add in the cacao powder, maple syrup and melted coconut oil and blend until you have a smooth paste. Using your hands, roll the paste into little balls, whatever size you like. I made eight balls but you can make more or less depending on what size you like. It might get a little sticky! 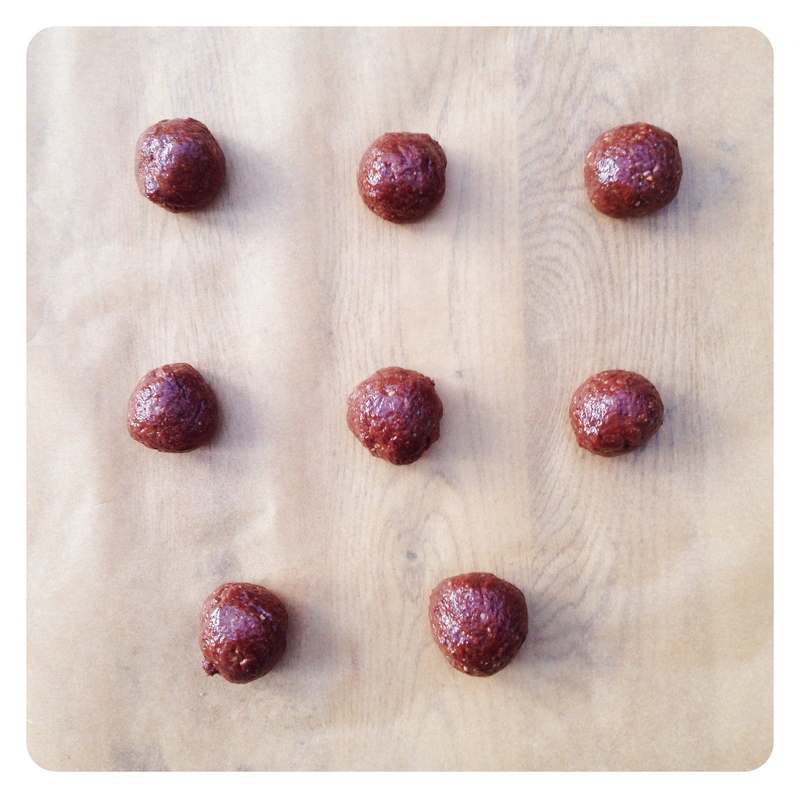 Place the balls on parchment paper and put them in the freezer while you melt the chocolate. When the chocolate’s melted, take the balls out of the freezer. 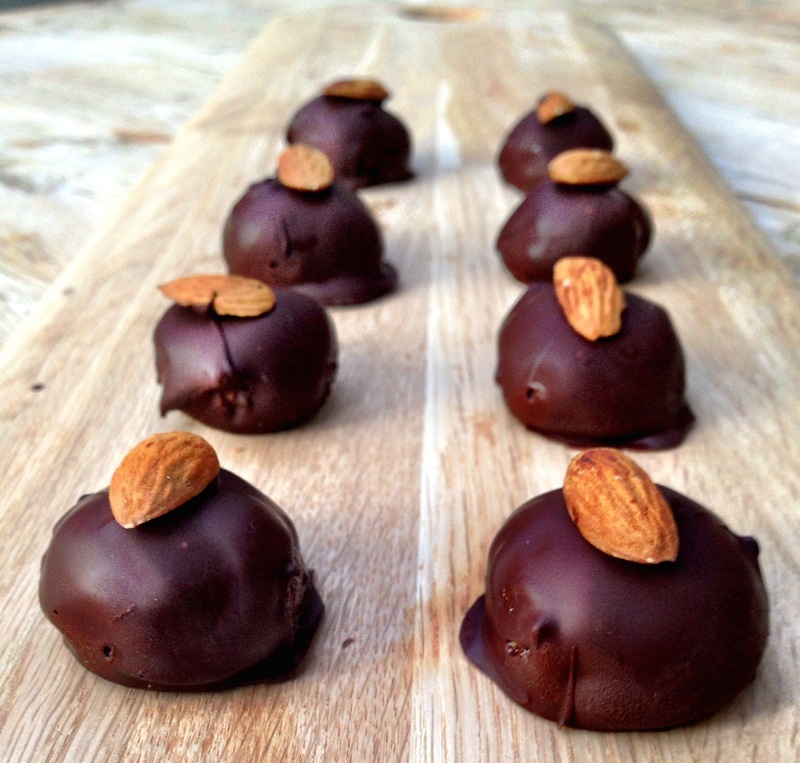 Dip and coat the balls in the chocolate and place half an almond on top of each to decorate. 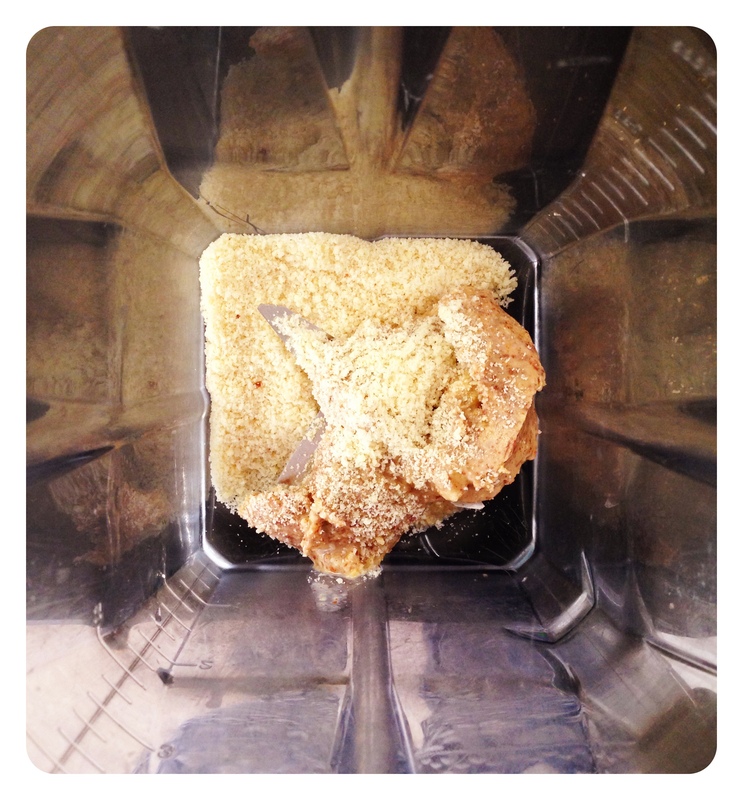 Place them back on the parchment paper and pop them in the fridge to harden fully. This only takes a few minutes. Eat and enjoy! Store them in the fridge.